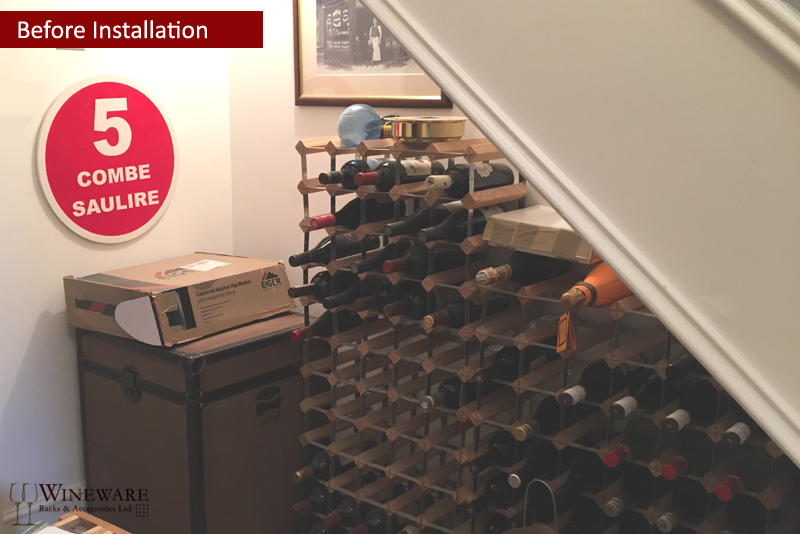 This under stairs space in a private home in Hampshire, has now been transformed into a wine storage area that is perfect for storing a variety of wine, champagne and much more! 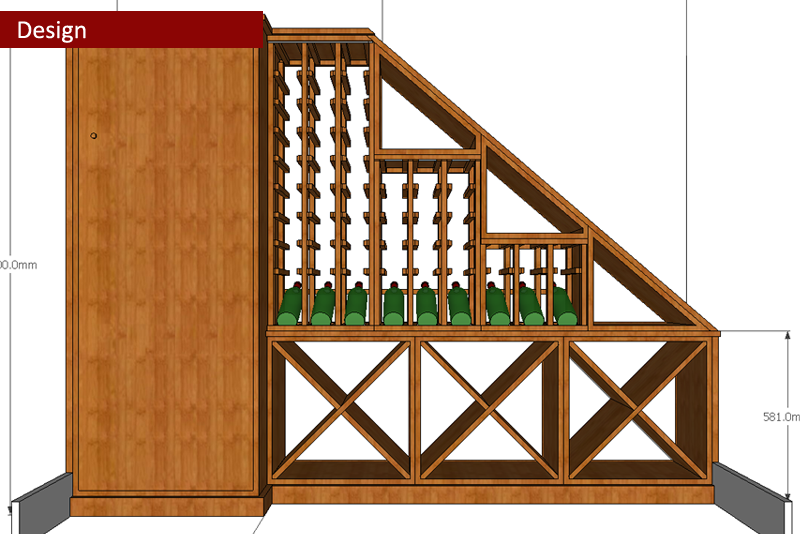 The bespoke racking is capable of storing over 120 bottles (10 cases) inside the rack, with additional shelves/pockets to store beers and other bits and pieces. 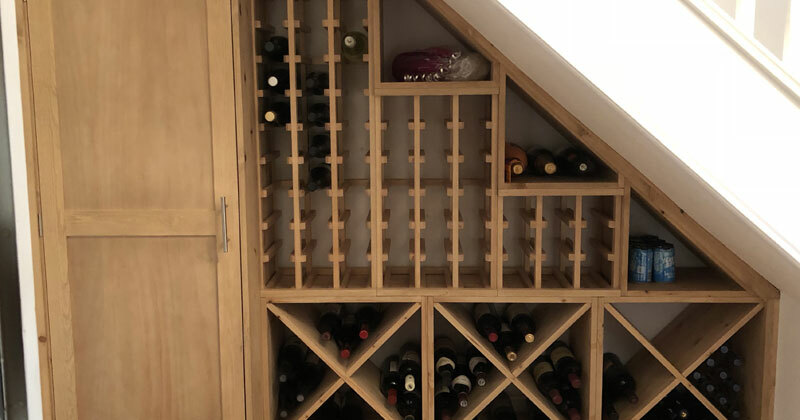 The home owner also required a seperate storage cupboard to the side of the racking which was also created from pine in a light oak stain. We visited site to meet with the client, discuss their plans and to take the measurements of the space. We then produced 3D design proofs for them to visualise how the racking will look in their space. 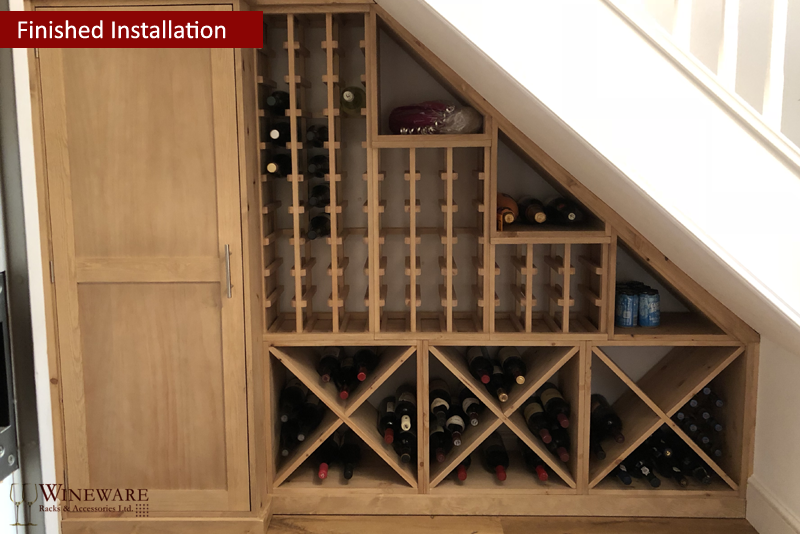 All of the racking provided at this private home in Hampshire is made from solid pine with a light oak stain, all of the units were constructed offsite prior to delivery to the property to minimise the installation time on site. "5 OUT OF 5 - Personal, yet incredibly professional service. Friendly and approachable with all areas of design, delivery and fitting. Very, very, very happy with it all."